The Carolinas Aviation Museum is one of the best kept secrets in Charlotte. 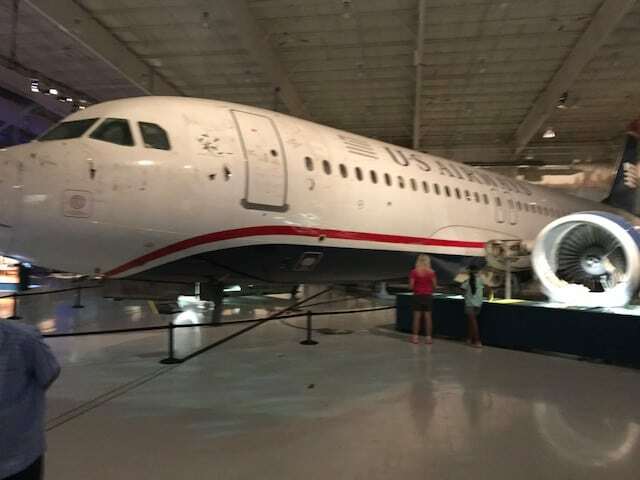 The newest, most popular attraction is the US Airways plane, Flight 1549, that crashed into the Hudson River on January 15, 2009 headed to Charlotte. It’s on full dented display at the museum. When I walked into the big hangar I stared up at the severely damaged aircraft and my body got chills. 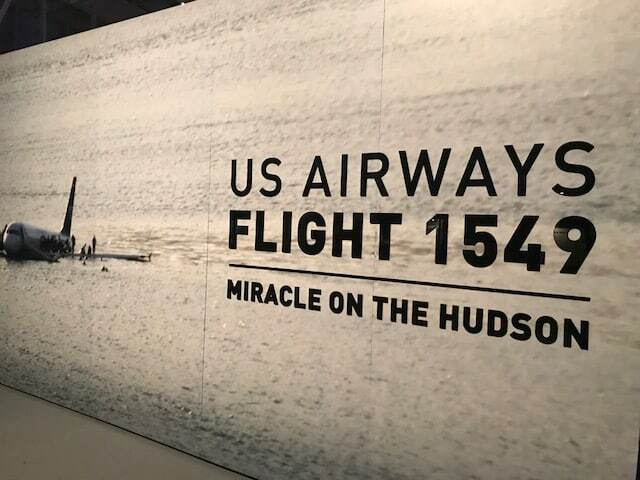 The whole incident, crash and rescue, is now known as the “Miracle On The Hudson” per news reports, book, and movie starring Tom Hanks. This past Saturday was a special day. Three of the survivors were there in person to tell their story and answer questions. As you know, everyone survived this miracle. One of the passengers said….”Everything that could go wrong, went wrong”…and then said, “Everything that could go right, went right.” There’s also a video to watch that captures the few minutes Captain Sullenberger had to decide how and where to ditch the plane. Over the intercom he says…”Brace for impact”. One of the passengers turned and said…”We’re gonna die”. Beth McHue (Picture) was in seat 20C toward the back. Before she could escape the plane the water started rising and she thought: I survived the crash, but now I may drown. Another passenger called her husband and got voice mail and told him how much she loved him and the children. The reason we can talk about this today is because the Captain was so skilled in split second decision making while the control towers were screaming different options at him. He knew the perfect angle to land the plane on water to prevent the fuselage from breaking on impact. It’s an incredible landing – you see it on the video. The plane had 24 minutes before it sank, but the crew got everybody out in less than 5 minutes. Only one injury occurred…a flight attendant received a gash in her leg but didn’t know it for quite awhile because her leg was under water in the back of the plane. The water had numbed it. How cold was the river water? 36 degrees, and they have a display you can dip your hand in and feel how really cold it was. At that temperature a body only lasts 15 minutes! Nothing can compare to this in aviation history and it’s all waiting for you to see at the Carolinas Aviation Museum. Don’t miss it! 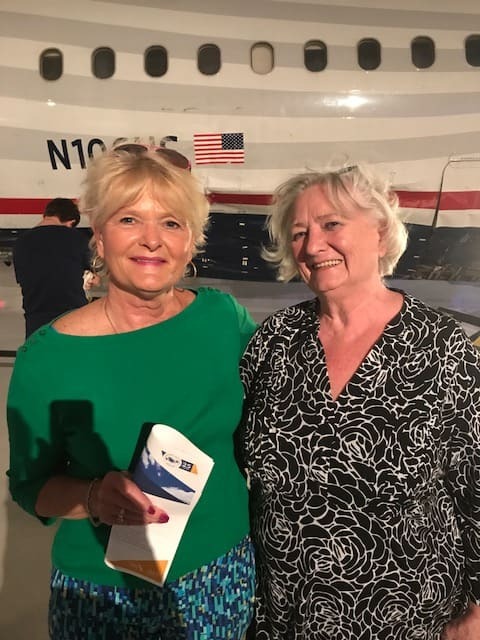 Mary with passenger and survivor, Beth McHue.